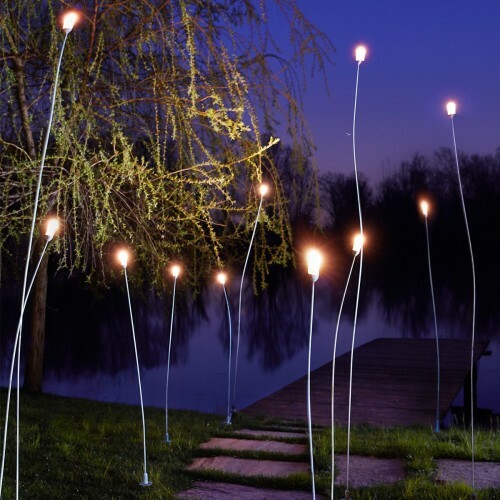 A Small light source, such as a small but shining star in the sky, Mini Mini is designed to be integrated into the garden. It is the conjugation of functionality and respect for the environment, as Mini Mini does not generate light pollution and mostly blends into the natural environment thanks to the copper finish. The slender stem allows to get to Mini Mini the desired angle and shape.